With Bitcoin’s value slipping and reports suggesting that Q1 of 2018 was the worst quarter in its history, it seems the recent wild run on the crypto-scene has come to an end. Yet, digital currencies continue to attract the interest of the governments, investors, commentators and fintech innovators alike. The reason for this is two-fold. On one hand, the technology that underpins cryptocurrencies – blockchain – holds disruptive potential likened to that of the internet itself. 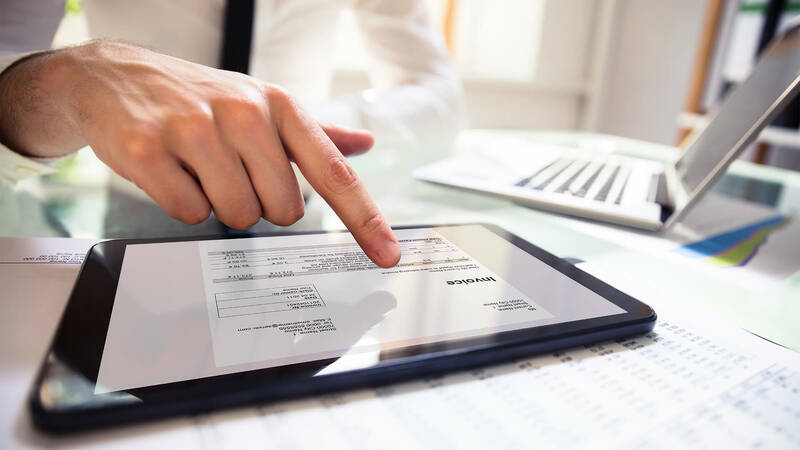 With its transparent, permanent and immutable record keeping, the potential of the technology to secure transactions between multiple parties is hard to argue with. On the other hand, regulators are increasingly ramping up efforts to establish the legal status of e-money as the technology matures. It is clear that traditional financial institutions and lawmakers plan to get more involved in addressing this and the current lack of regulatory oversight in the UK today. Mark Carney, Governor of the Bank of England, and others have consistently called for the crypto asset ecosystem to be held to the same standards as the rest of the financial system – and there have been some signs of progress here. Earlier this month, for example, one of the world’s top cryptocurrency exchanges, Coinbase, was granted a licence to operate by the UK’s Financial Conduct Authority (FCA), confirming it had been assessed and met certain anti-money laundering and processing standards, deeming it suitable to acquire a regulated status in the UK. That said, the way in which cryptocurrency is taxed is fast becoming a burning issue. This is especially the case for current and prospective investors. Worryingly, many investors may not even be aware that they owe tax on their cryptocurrencies today. 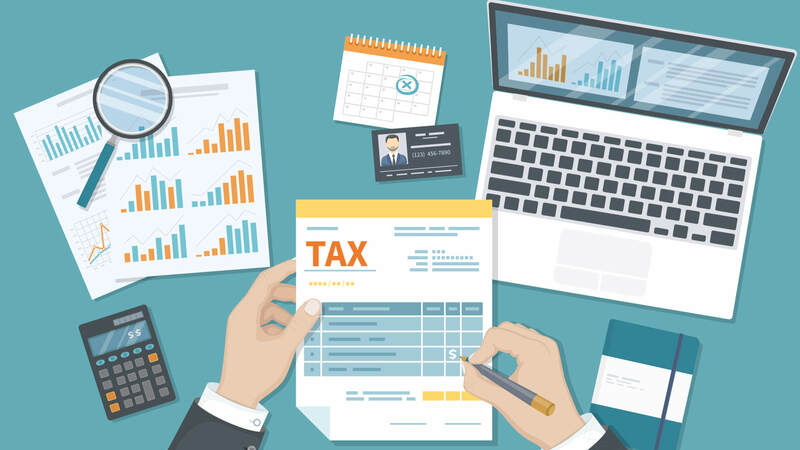 As in nearly every other aspect of tax, different countries and jurisdictions will have varying guidelines for declaring tax and equally different approaches to tackling evasion. As such, depending on where you are domiciled for tax, you may be breaking the law – or about to. In the US, tax authorities view the likes of Bitcoin, Ripple and other cryptocurrencies as a form of property, rather than a true currency, and so it may be subject to capital gains tax. Taxpayers are therefore required to declare all cryptocurrency transactions in their annual tax returns, with the applicable tax applied to each deal. Meanwhile, in Germany, Bitcoin is classified like stocks and shares – capital gains tax is applied to profits made within the first year of ownership. After this point, their transaction will fall within the scope of a non-taxable ‘private sale’, exempting them from further taxation. 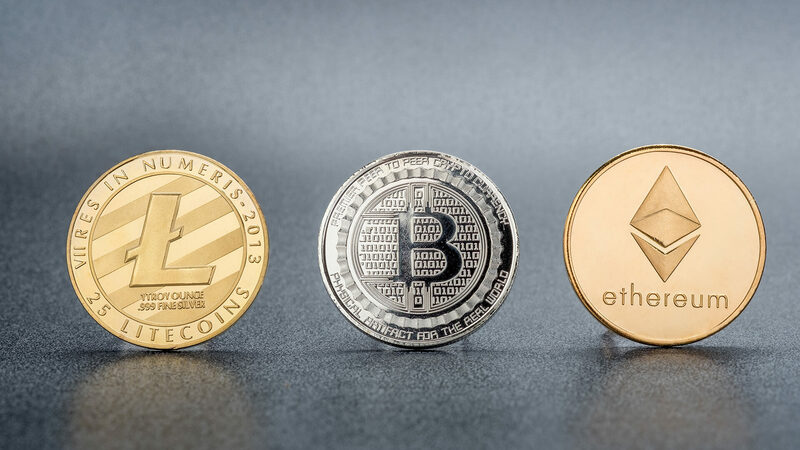 When it comes to enforcement, however, the US Inland Revenue Service (IRS) takes a much more active role monitoring virtual currencies and managing the infrastructure that enables trading than its European counterparts to date. In February of this year, for example, it assembled a dedicated team of investigators to counter tax evasion in the cryptocurrency industry. It argues that Bitcoin, and others like it, can be used in the same fashion as foreign bank accounts to facilitate tax dodging. It recently compelled Coinbase to send data on 13,000 of its users as part of an investigation of this kind – a move we may see from HMRC here in the UK in the future. In Britain, the guidance provided by HMRC about cryptocurrencies is limited to a policy paper from March 2014. That said, while an official framework for cryptocurrency related tax remains forthcoming in the UK, the Treasury’s current regime may still mean that some individual investors are falling foul of compliance with the law as it stands. Overall, the Revenue looks at the personal circumstances of an individual to inform a decision on whether tax is paid on crypto gains or not. The individual must prove whether they are a hobbyist or a professional investor and they will be taxed accordingly. First of all, HMRC treats hobbyist traders in the same way that it treats those involved in other speculative activities, like gambling: they are currently exempt from paying tax on gains. This approach is fortunate in that it recognises the inherent volatility of the bitcoin market and means that a personal investor would not be hit with a tax bill for gains subsequently lost because of coin values plummeting. Alternatively, if HMRC considers that an individual or corporation involved has a professional interest in the industry, then taxes would be payable. This is assessed on a case by case basis so the resulting decision, in this respect, will often be difficult to predict. If liable, profit and loss activity must be reflected in accounts under normal Corporation Tax rules. This is applicable to those involved at all levels of the process – whether trading, mining or operating an exchange and providing supporting services. As with all income and gains generating assets, a tax system for cryptocurrencies will surely emerge – such a system and associated measures would also go some way towards addressing concerns that virtual currencies are still being used to enable fraud, money laundering and finance illicit activities like cybercrime. 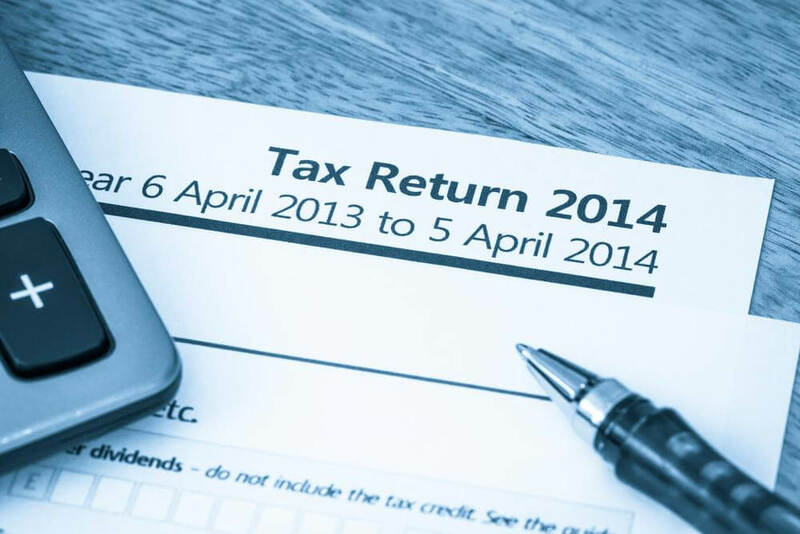 The advice is to fully research your situation by contacting HMRC, an accountant or a tax adviser and keeping a full record of any advice given. 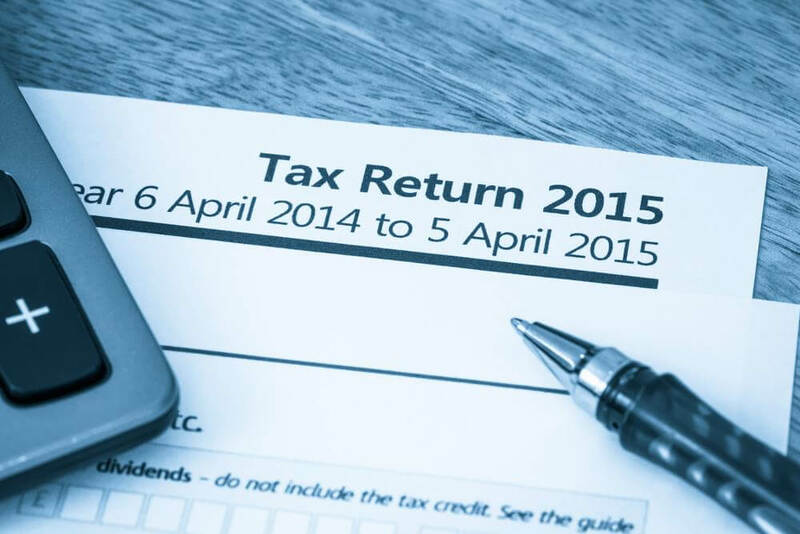 If it appears that the HMRC are likely to find that your gains are taxable, it would be wise to put aside any gains in a contingency account to cover any tax that might fall due. Despite the decentralised nature of cryptocurrencies and the associated hype about this, they are taxable as financial assets by law in many countries. Ultimately, even in the crypto world, the old adage of death and taxes still applies. “Accelerated Payments continue to turn the tables on individuals looking to avoid paying their fair share of tax. Those who take part in tax avoidance now have to pay up-front and dispute later. 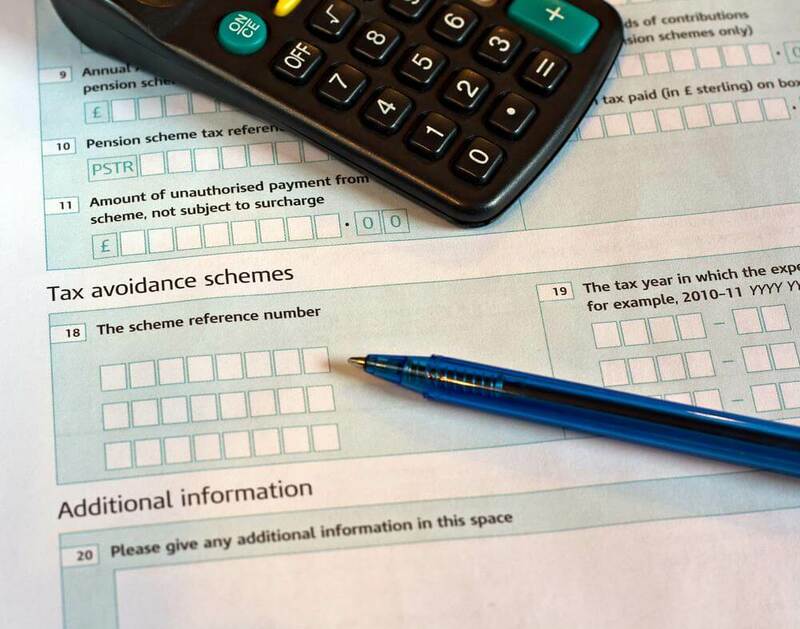 It really is time to get out of avoidance – HMRC wins the vast majority of cases that people litigate, with many more settling before litigation. These companies had declined the committee’s first invitation to appear before it, but later changed their minds and accepted its last chance invitation. Of the 13 original invitees, only Fiat Chrysler and Walmart declined the final invitation. The meeting started with a minute of silence for the victims of the Paris terrorist attacks. Many questions were about transfer pricing practices (money flows within the same company) and how the firms’ representatives felt about the OECD proposals against base erosion and profit shifting (BEPS). MEPs also floated proposals for mandatory country-by-country reporting on profits, taxes and subsidies and for a common consolidated corporate tax base (CCCTB) on which the EU Commission relaunched a consultation in October. Google was asked about its Bermuda subsidiary, and Facebook was asked why it stored its intellectual property rights on the Cayman Islands. Most companies insisted that their tax practices were legal and pointed to the large numbers of staff they employ in EU member states. Most were unenthusiastic about the idea of country-by-country reporting, especially if these mandatory reports were to be made public, and objected to the administrative burden that they would impose. But they said that a common consolidated corporate tax base (CCCTB) would be welcome if it made the rules more consistent and clear. Several firms also advocated a binding mediation mechanism in the case of tax disputes. Prior to the meeting, Parliament’s political group coordinators decided to ask its political leadership, the Conference of Presidents (EP President and political group leaders), to propose prolonging the committee’s mandate by six months. The coordinators feel that they need more time to access and analyse documents and also to monitor legislative initiatives in the corporate taxation field. This pressure could be alleviated if the government gains the ability to expand its tax base. Consumers’ disposable income has been also hit by higher personal income tax rates and inflation pressure caused by the sharp currency depreciation. Increasing corporate exports will not be a short term solution for the woes faced by issuers. Corporates will need time to rebuild export channels following the sharp appreciation of the U.S. dollar against the Colombian peso during 2015. Fitch revised its previous expectations of GDP growth down to 3.0% in 2015 and 3.5% in 2016. 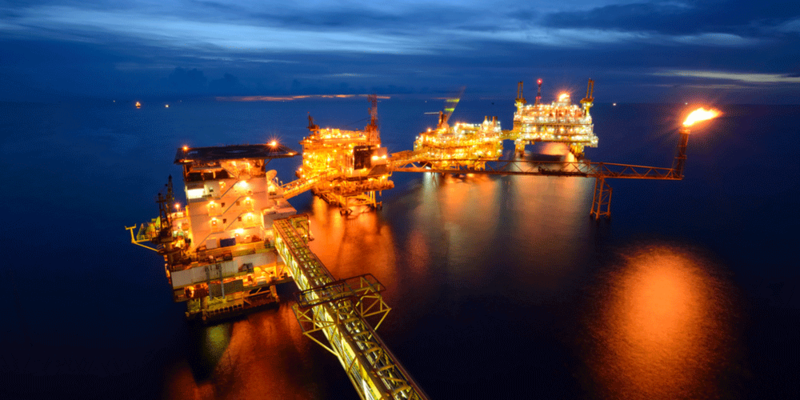 Weakening terms of trade and low oil prices have hurt the economy. Economic growth will continue to depend upon the country’s fourth generation infrastructure projects (4G) and a dynamic construction sector. The Rating Outlook for Colombian corporates is Stable, despite challenging economic conditions. Most corporates continue to maintain conservative credit profiles despite increasing leverage trends. Refinancing risk remains manageable due to robust liquidity position and access to diverse funding sources. The full report ‘Colombia Corporates Low Oil Prices Lead to Rising Corporate Taxes’ is available at www.fitchratings.com. 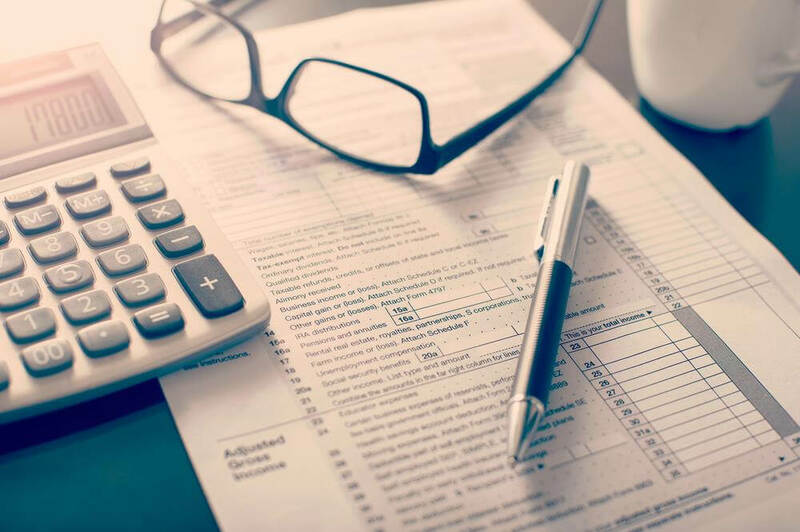 The new information includes estimated ranges for each 2016 tax bracket as well as projections for a growing number of inflation-sensitive tax figures, such as the personal exemption and the standard deduction. Projections are based on the relevant inflation data recently released by the U.S. Department of Labor. 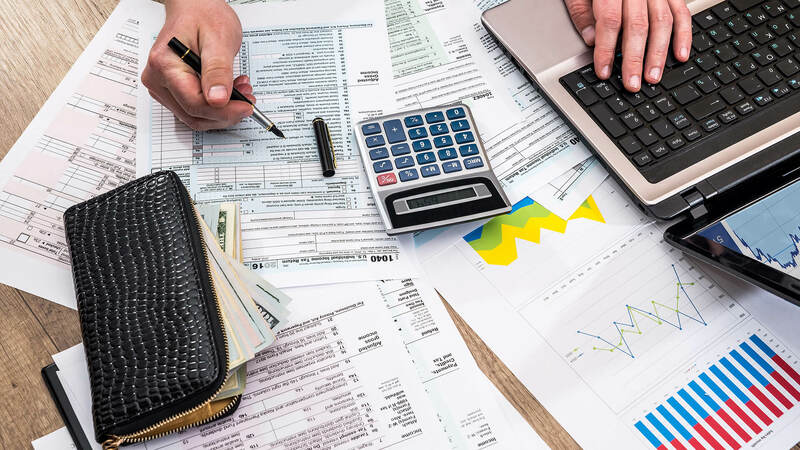 Since the late 1980s, the U.S. Tax Code has required that federal income tax brackets be adjusted for inflation annually, and inflation adjustments have been inserted into the Internal Revenue Code in recent years with increasing frequency. For example, the Code now requires over 50 other inflation-driven computations to determine deduction, exemption and exclusion amounts in addition to the 40 separate computations needed to inflation-adjust the tax bracket tables each year. 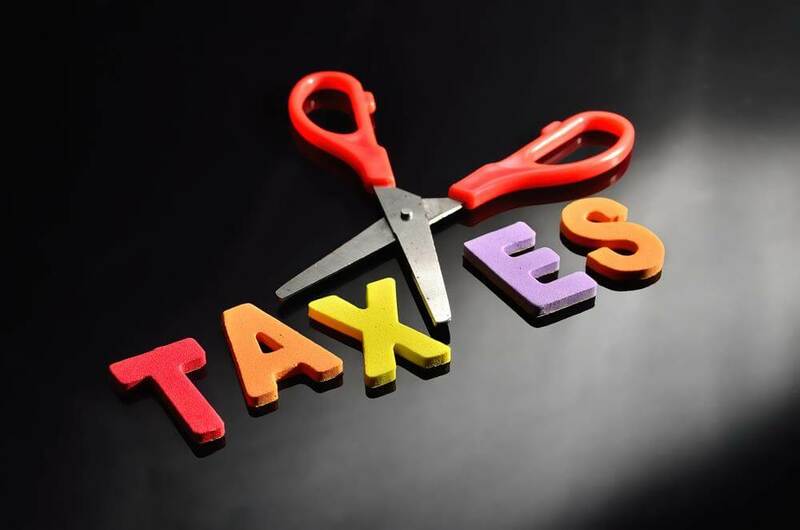 Because of the income ranges bracketing the marginal tax rates have increased, a single filer with taxable income of $50,000 should owe $22.50 less next year due to the adjustments to the income tax rate brackets between 2015 and 2016. A married couple filing jointly with a total taxable income of $100,000 should pay $45 less income taxes in 2016 than they will on the same income for 2015 because of indexing of their tax bracket for 2016. The dependent standard deduction, used on the returns of individuals claimed as dependents on another taxpayer’s tax return, remains at $1,050 for 2016. The additional standard deduction for those 65-years-old and older or who are blind will remain at $1,250 for 2016, as will the $1,550 additional amount for single aged 65 or older or blind filers. The personal exemption amount gets bumped up by inflation by $50, to $4,050 for 2016, up from $4,000 in 2015. The standard deduction for single, married filing jointly, and married filing separately filers is expected to remain the same for 2016. The standard deduction for heads of household is expected to rise from $9,250 for 2015 to $9,300 for 2016. Any increase in the standard deduction, of course, can produce lower taxes by decreasing the taxpayer’s taxable income. 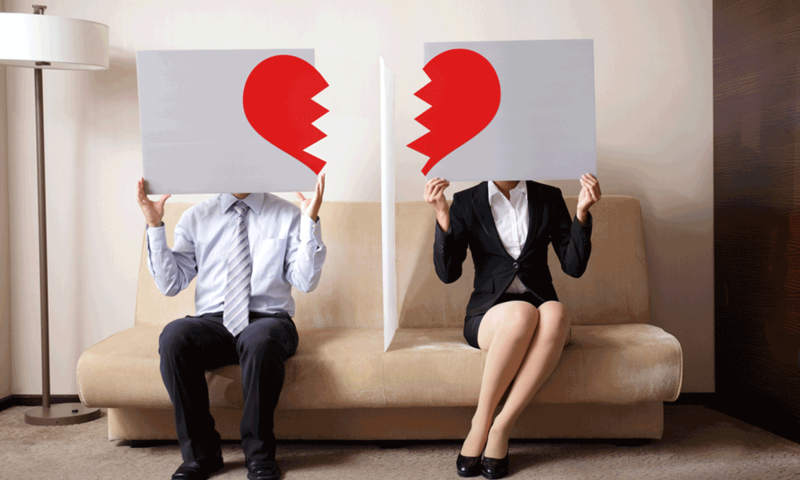 Sadly divorce affects many of us, perhaps because of the difficulties balancing the extraordinary demands of growing a business with those of maintaining a thriving family relationship. The press has recently been awash with stories of business owners paying millions to their ex. Thankfully, a number of avenues are available to an entrepreneur to mitigate the financial effects of divorce. The first and most obvious is to get a prenup. That takes it out of the courts as much as possible and determines what’s going to happen to the assets in the unfortunate event of a marriage breakdown. If you’re already married you can get a postnup, and create a clear and plan in the best of times, to prepare yourself for the worst of times. Since Vardags’ success in 2010 in the Supreme Court in the “Radmacher” case, pre- and post-nups are generally upheld. The second thing is to look at what you brought into the marriage because that is typically excluded from the 50/50 division. Perhaps your company was still a start-up at that stage, but it may have had considerable latent value that should be taken into account. What would someone really pay to buy shares owned by you, the key person in the business? Generally far less than an investor would pay to purchase new shares to help grow your business. What rights do investors have over your business that restrict the value of your shares? Often quite a few: preference shares, consents or vetos, drag-along provisions, etc. If the business were sold and a “professional manager” put in place to manage the business what would that do to the profits and hence the value? Certainly there would be the direct extra costs of that individual and perhaps some indirect ones too. What risks are there? Past performance is not necessarily a guide to the future. Asking such questions and getting a realistic value for one’s business can sometimes go a long way to mitigate the effects of divorce. I’ve been involved in cases where using arguments such as the above have reduced the “headline” valuation of shares in a business by 90% or more; there is almost always something that can be done. Judges tend to be quite unimaginative in what they will ultimately order as a settlement if your case is determined by the Court (not to mention the enormous cost of going through a fully-contested divorce process). Much better to try to negotiate a settlement. 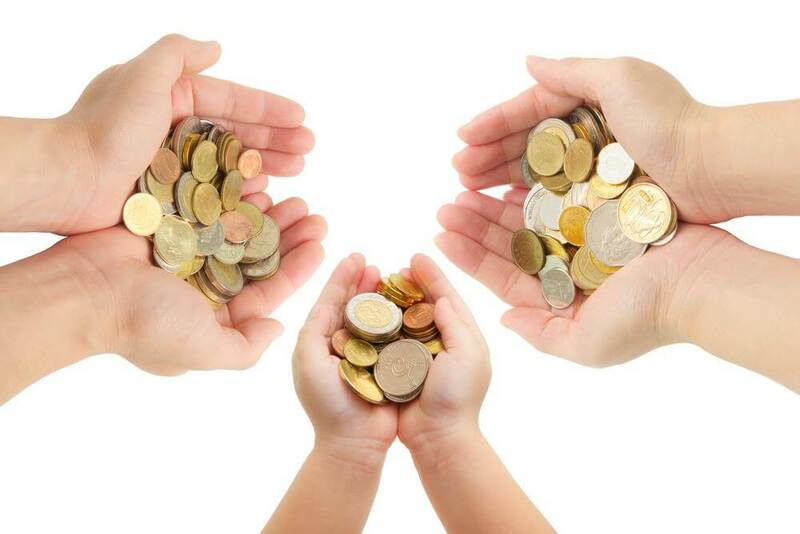 Perhaps you can find a way in which your spouse can retain a stake in the business and be aligned with your interests (both upside and downside); perhaps you could structure a payout over several years; perhaps you could raise money within the business; perhaps you can set up trusts to protect the long-term value for your children. By far the best settlements I’ve seen have been negotiated, creatively and early-on in the process before the parties establish entrenched positions. When your life’s work is at stake, the temptation to try and hide your wealth from the courts can be intense. The most common tactics business owners use are: hiding it offshore and/or in trusts, putting shareholdings into the name of relatives, friends or business associates, creating dubious debts (to parents, to the company, to friends), “hiding behind” the corporate veil and creating a web of companies. Recently I’ve recently witnessed more obscure attempts to hide wealth, for example by investing in hard-to-track Bitcoins. In consequence, divorce law has become a highly sophisticated corporate and financial discipline as lawyers and experts try to crack their way through to the truth – in a complex game of hide and seek. 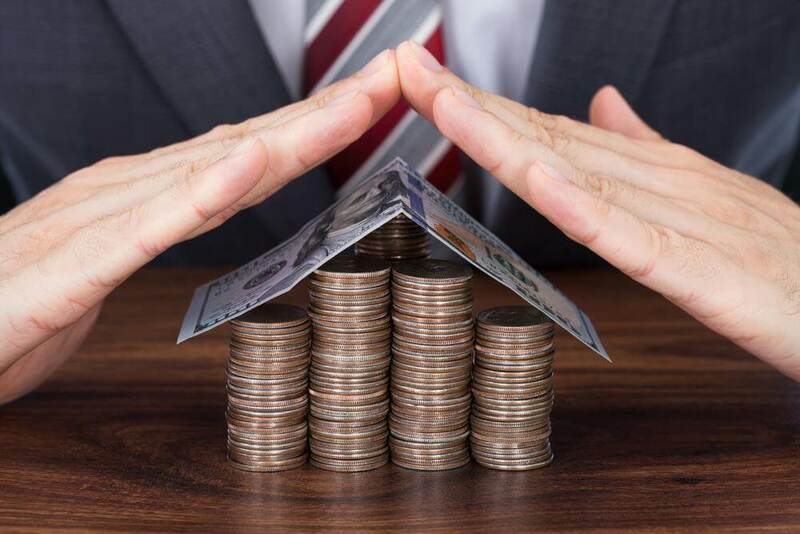 There is no doubt that some people “get away with it”, but many others certainly don’t and the Courts can take a pretty dim view of people trying to deny their spouse access to their wealth. It’s a game of poker and we would never advise a client to play it. 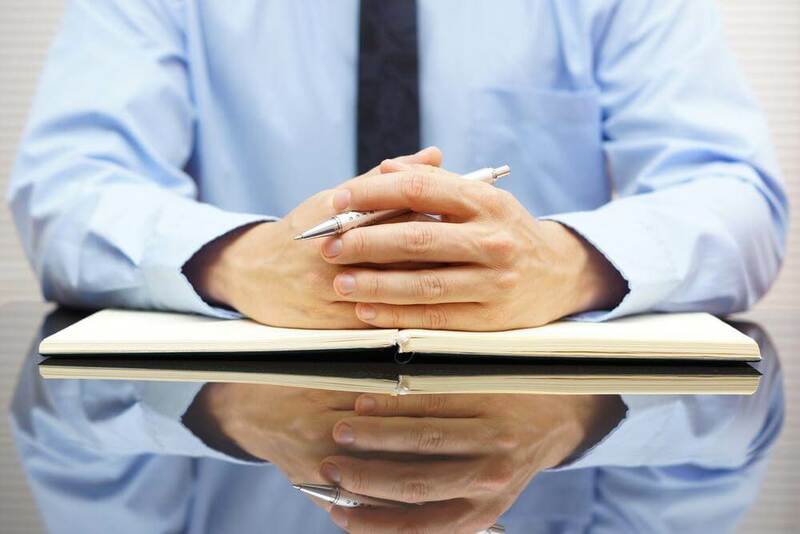 As an entrepreneur or business owner, if you’re involved in divorce proceedings, you really should get early professional advice. The worst cases I’ve worked on have been picking up the pieces of a DIY-job. If you head off in the wrong direction and you’ve got somebody on the other side who is absolutely determined to hunt you down, it can be incredibly time-consuming, horribly expensive and ultimately you may well get caught out. One should be quite proactive about financial disclosure: be upfront about it, present your wealth in a realistic – as opposed to optimistic – way and let that be challenged by the other side. Of course, there is another option for people when faced with divorce. I’ve seen a number of incredibly successful entrepreneurs take the attitude of ‘I’m just going to give them half of it. I then want to move on with my life and just go and earn it again’. It’s an alternative: rather than fight it, just go with it and then make yourself successful again. It saves the time and misery of going through a costly and acrimonious divorce, something which can be incredibly distracting when you’re trying to make money. Dr Stephen Bence is Founder and Chairman of fast-growing business information company Beauhurst and Director of Strategy and divorce finance expert at top family law firm, Vardags. Today’s PMQs became a showdown after Harriet Harman attacked the Prime Minister’s proposals to cut tax credits. The acting Labour leader, first quoting an earlier speech by David Cameron in which he stated ‘There’s…nothing progressive about robbing from our children’, before asking ‘is it not inevitable that cuts in tax credits for working families, unless employers raise their wages immediately, will mean that children are worse off?’. 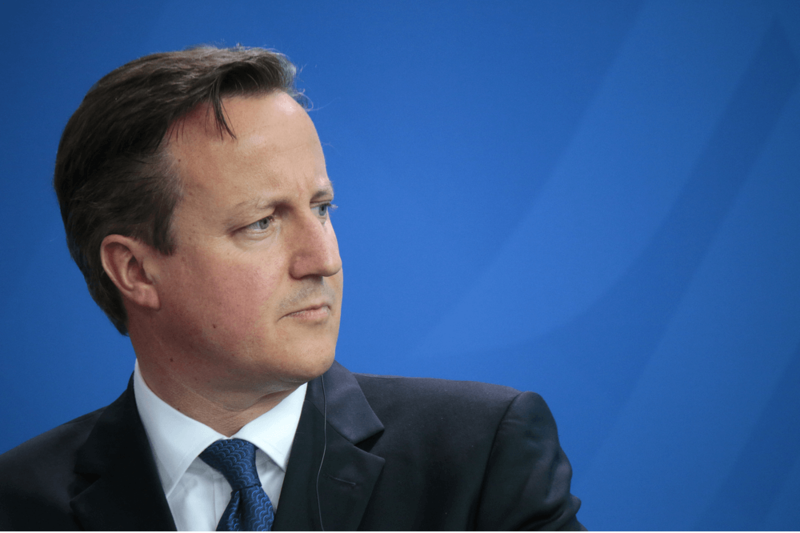 Cameron responded by accusing Harman of misquoting him, and by indicating that tax credits were no longer viable because of the high proportion of unemployed people, which needed to be rectified by cutting the deficit: ‘First, what I said in that speech about robbing from our children was about the importance of getting our deficit down and not asking them to pay debts that we were not prepared to deal with ourselves. What we need to do is make sure we go on with a plan that is seeing 2.2 million more people in work. Crucially for children, compared with when I became Prime Minister, there are 390,000 fewer children in households where no one works. My programme for tackling poverty is to get more people in work, get them better paid, and cut their taxes.’ Cutting tax credits for families has long been one of Cameron’s strategies for reducing the deficit. Harman had prepared figures to reinforce her argument, demanding of the Prime Minister ‘a lone parent working part-time: to compensate her for that loss of £1,400, the minimum wage would have to go up overnight by 25%’. Cameron’s response involved reminding Harman that he inherited a bad economy from the previous Labour Government and accusing Harman herself of being opposed to progression: ‘learned Lady seems to want is the current failure of low pay, high taxes and high welfare’. Ultimately Cameron could not provide Harman with details of how families could be compensated for the loss of the child tax credits. Currently, families on a low income, whether working or not, are entitled to tax credit for any child either under 16 or under 20 but still in some form of education. A basic amount of £545 a year is allowed, with families receiving extra fund for every additional child, and every additional disabled or severely disabled child they care for. Britain’s higher earners should urgently consider reviewing their tax relief on pensions, affirms the chief executive of one of the world’s largest independent financial advisory organisations. 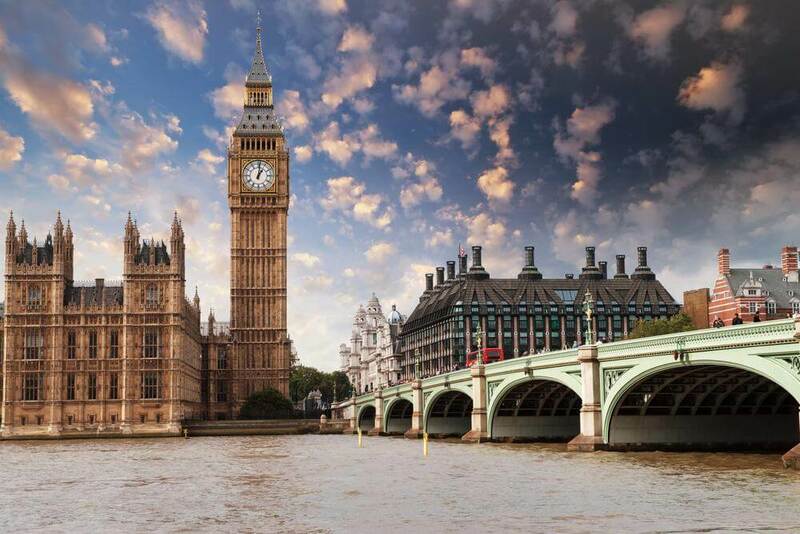 The message from Nigel Green, CEO and founder of deVere Group, comes ahead of Chancellor George Osborne’s post-election additional Budget, scheduled for 8 July. Mr Green continues: “This latest policy would appear to be another hammer blow for those who want to get on in life through hard work and by prudently saving for their future. 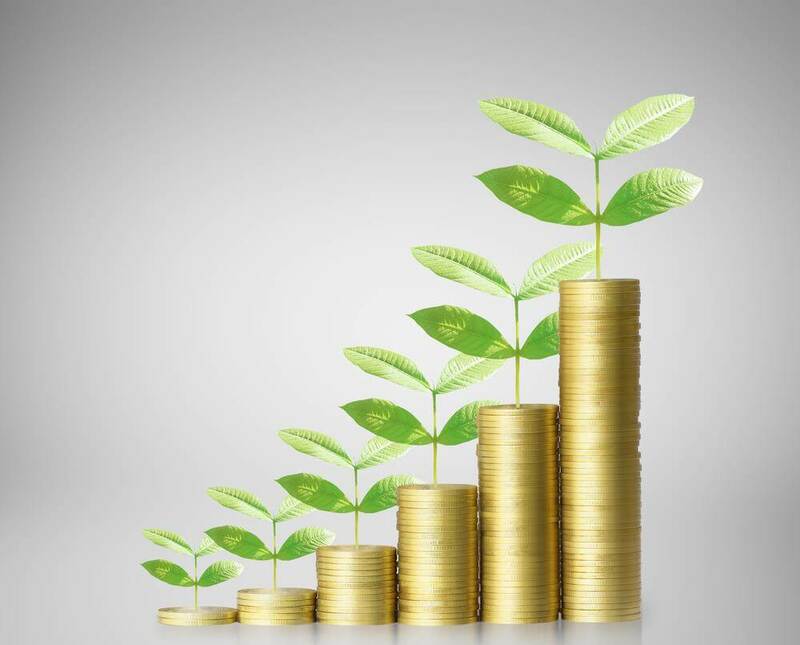 While EIS schemes with renewable energy investments will no longer qualify for government-backed incentives from 5th April, investors can still benefit from both the incentive schemes and achieve Inheritance Tax exemption with Business Property Relief (BPR) qualifying assets, according to Intelligent Partnership (IP), the UK’s leading provider of education and insights on alternative investments. According to a study conducted by IP for its new EIS report*, renewables have been the most popular EIS investment over the last three years, with the majority (58%) of advisers selecting this as their preferred investment sector. IP’s research also found that, since 1998, 28% of all EIS investment offers have been in energy – 60 products in total. In its analysis of fundraising targets by sector, energy had the largest average across the market of £14.67m – almost £6m higher than the next sector average (technology). Speaking at IP’s EIS Masterclass in March, **Henny Dovland of TIME Investments said: “Conservative investors have favoured these large-scale, asset-backed investments with well-developed technologies underpinned by government incentives because they are predictable and therefore low risk. 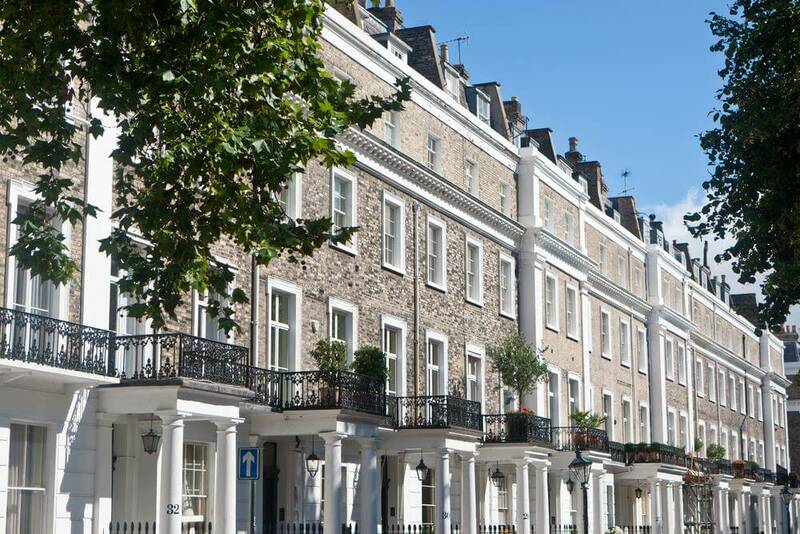 According to IP, many EIS investors will now have financial planning needs around mitigating the inheritance tax that their estates will be liable for. 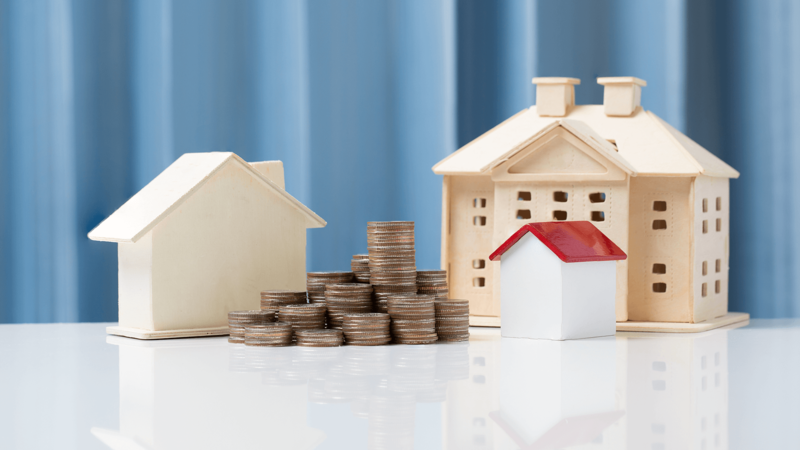 Daniel Kiernan, Research Director at Intelligent Partnerships said: “With rising asset prices and the nil rate band frozen, HMRC estimates that 5,000 additional estates will be pulled into the IHT net by 2018. The baby boomer generation are estimated to control 80% of private wealth in the UK and, as they head into their 60s, they are now thinking about how they can pass that wealth onto their beneficiaries. According to IP, if a renewable energy investment was suitable for a client within an EIS, it will be a suitable investment within a BPR product – and as such it will help clients start to take steps to mitigate their estate’s IHT bill. New TUC-commissioned analysis published today (Thursday) of tax policies in the Conservative Party manifesto shows that the party has chosen to prioritise unfunded tax giveaways to the wealthy over support for the low-paid and middle earners. Furthermore, while the maximum benefit a basic-rate taxpayer can expect from the proposed personal allowance increase is just £222 per year, the maximum benefit for a higher rate taxpayer would be £1,126. In addition, a taxpayer earning between £50,000 and £100,000 (the level of income at which the personal allowance starts being tapered away) would also benefit from proposals to raise the higher-rate tax threshold, meaning that their after-tax income could rise by over £2,000 per year – around ten times more than the tax gains for a basic earner. The Conservative manifesto also includes plans for extreme cuts to welfare and public services. The TUC believes that the relatively small tax gains for low earners would therefore be significantly out-weighed by major reductions to in-work support like tax credits and the services that low-paid families rely on most. The TUC analysis modelled the impact of an alternative approach with identical costs to the Conservative proposals, which targets help to low and middle-earners through improvements to Universal Credit (see notes, and UC option 2 in the analysis). Under this approach, most middle-earners would be at least £500 better off (deciles 3,4 and 5), with some families more than £700 better off. TUC General Secretary Frances O’Grady said: “We should be targeting help where it’s most needed. But David Cameron’s tax plans will give ten times as much to the rich as to families on regular earnings. “Families have just suffered the longest decline in living standards since Queen Victoria was on the throne. But before wages have even recovered, the Conservatives are prioritising special treatment for the wealthiest. “The pledge to help minimum wage workers is a con. Most of them don’t earn enough to pay income tax, but Conservative plans for extreme cuts will hit their tax credits, children’s benefits and local services. All in all, low-paid workers and their families will be left much worse off. ICAEW advises taxpayers to check which changes could make a difference to their personal finances and to get expert advice if unsure. Pensions will be an important area for change, and most taxpayers will see an increase in their pay packet as the personal allowance increases. The tax-free personal allowance rises from £10,000 to £10,600 on April 6. For those born before 6 April 1938 the so-called age allowance will be £10,660. The starting rate of income tax on savings will be cut from 10% to 0% for savings income up to £5,000. The change means more people on lower incomes may be able to get their savings income paid without tax deducted. Married couples and civil partnerships will be eligible for a tax break as the new marriage allowance lets the lower-income partner transfer £1,060 of their personal allowance to their partner – saving up to £212. This isn’t an extra allowance, just the transfer of part of an existing one, and can’t be claimed if either partner pays more than the basic rate of income tax. The married couple’s allowance – for couples where one or both was born before 6 April 1935 – rises to £8,355. This is not to be confused with the new marriage allowance, and will be a better bet for those eligible, giving up to £835 of tax relief. The maximum that can be invested in a tax-free ISA increases to £15,240. Junior ISA and Child Trust Fund allowances will be uprated to £4,080. 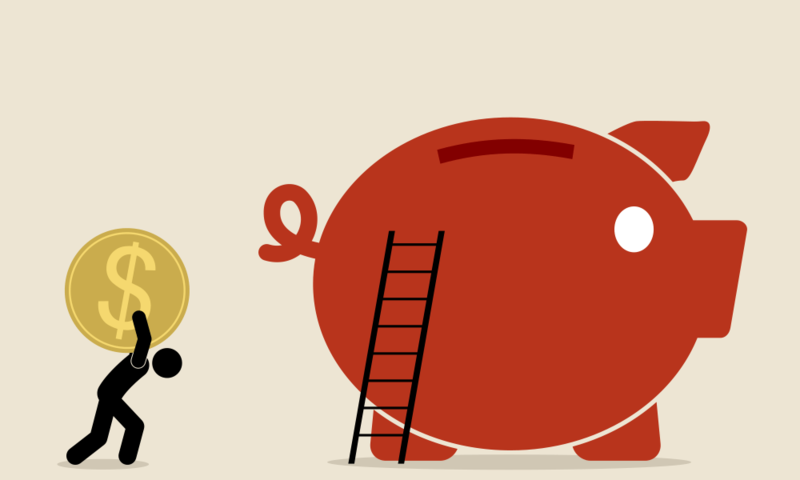 There are big changes for pensions. From 6 April 2015 those aged 55 or more can take money from their defined-contributions pension pot without having to buy an annuity or put the money into drawdown, and 25% of what they take out will be tax free. The law will also change so that if an individual dies before the age of 75, they will be able to pass on their pension pot tax-free. From 1 May families will not have to pay Air Passenger Duty on economy flights for children under 12. Unfortunately, this exciting moment can be ruined by one simple mistake – failing to purchase a guaranteed asset protection (GAP) waiver. It’s important for car buyers to know that the moment they drive off the lot with a new car, the value of the vehicle depreciates. If disaster happens in the form of theft or an accident that totals the car, insurance will often only cover the current market value – which can be far less than the value of the unpaid loan. The purchaser will be responsible for paying off the loan, even though he or she may no longer have the car. GAP waivers cover the difference, offering an additional priceless value: peace of mind. There’s no need for stress when you should be enjoying the tangible benefits of your tax refund! From a stolen vehicle to a bad accident, there’s no way to predict when something disastrous might occur, so consumers should make the smart choice to protect themselves with GAP protection. 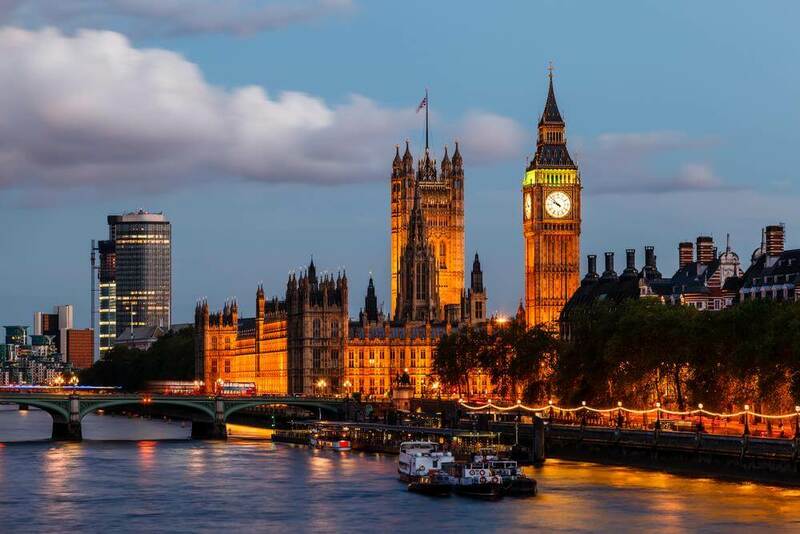 The UK remains one of the most competitive tax destinations according to over 100 of the largest British-based businesses participating in KPMG’s annual survey of tax competitiveness 2014. But Ireland has leapfrogged the UK to take the number one position this year. In this year’s results, the UK has built on its 2013 absolute score in terms of the frequency with which respondents cite it as being in their top three most competitive tax regimes but it has slipped to second place overall. Luxembourg, the Netherlands, and Switzerland have all lost ground in the rankings as the table below shows. Chris Morgan, head of tax policy at KPMG in the UK, said: “This year, respondents’ perception of how attractive Ireland’s tax regime is compared to other countries jumped significantly, with Ireland most frequently cited among the top three most attractive tax regimes overall. Perceptions of the UK’s attractiveness improved slightly versus 2013 but not enough to retain the top spot in the 2014 rankings. For the first time this year, the survey expressly asked about responsibility in business. Respondents agreed that responsible business should act in the interest of the common good and that tax was integral to this. Additionally, a significant proportion of respondents (38 percent) said they had become more transparent on how they report tax in the last 12 months. 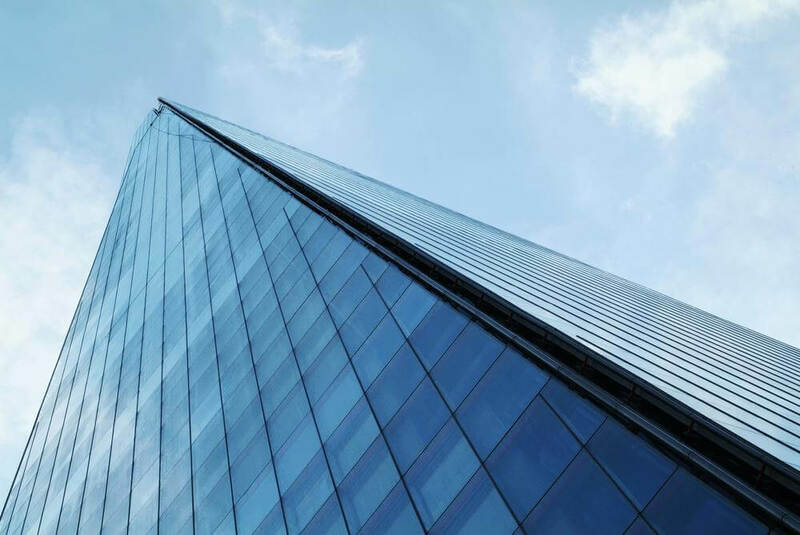 44 percent felt they would be more transparent in the future, with this particularly pronounced among the FTSE 100 where just over half said so. In a similar vein to last year’s results, respondents believe that stability and simplicity determine the attractiveness of a tax system. Respondents were keen to see the corporate tax rate go down to 20 percent as planned by the current government. 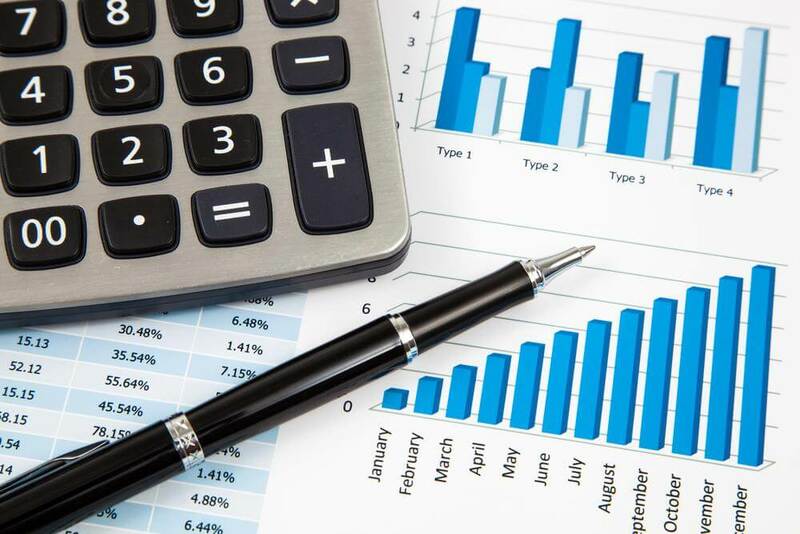 Respondents felt that this reduction was more important than a cut to business rates and almost a quarter (23 percent) saying they would increase their headcount as a result of this measure. There was relatively little support for tax devolution, with 63 percent saying it should not be decentralised and 27 percent saying it should be decentralised in line with devolution. A similar proportion (66 percent) was opposed to an allowance for corporate equity, which is a deduction based on the amount of share capital in order to level the playing field between equity and debt. Looking to the wider tax landscape, a clear majority (76 percent) of respondents were supportive of the general aims of the OECD’s Base Erosion and Profit Shifting (BEPS) action plan. However, 61 percent expressed some concerns around the potential compliance burden of country by country reporting and over half (56 percent) of respondents felt that the UK authorities were unable to influence the overall BEPS agenda. 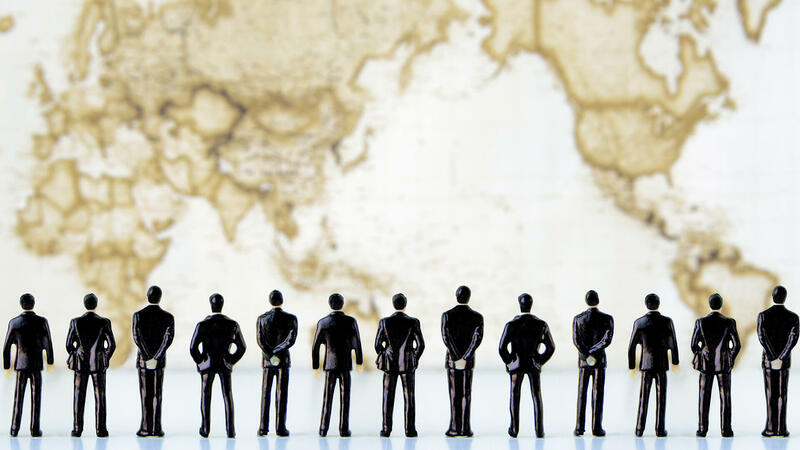 A new survey from Aon Hewitt, the global talent, retirement and health solutions business of Aon plc, reveals that most employees around the world received pay increases in 2014 and can expect to receive comparable increases in 2015. According to Aon Hewitt’s 2014 Global Salary Increase Survey of 12,690 employers in 110 countries, employees in Africa are expected to see the highest rate of increase in 2015 at 8.0%, up from 7.4% in 2014. Conversely, workers in North America can expect to see the lowest salary increases at 3.0%, up from 2.9% in 2014. 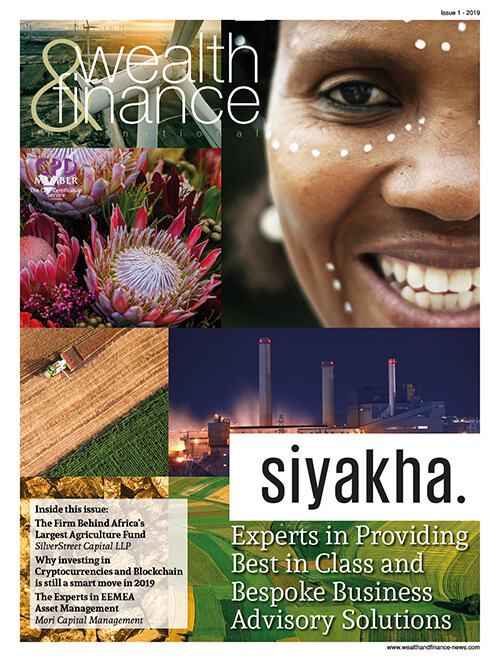 • Africa – In 2014, employees in Africa received 7.4% salary increases and can expect to see salary increases of 8.0% in 2015. 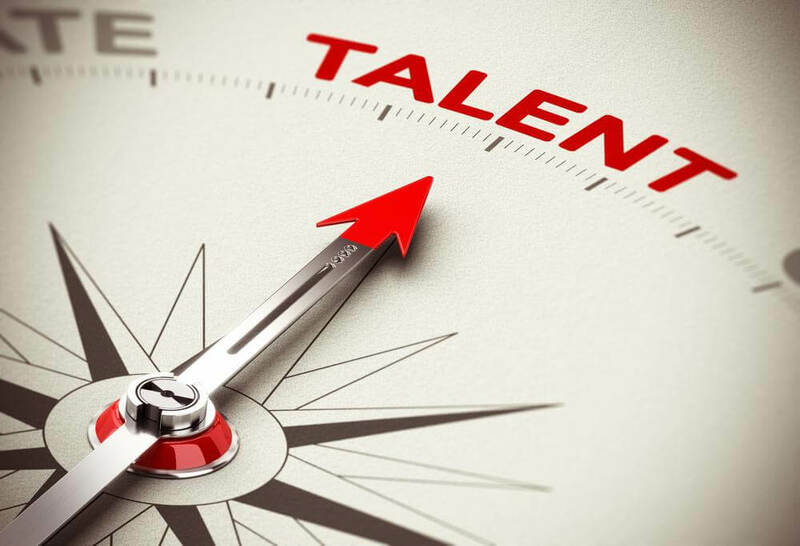 According to Aon Hewitt, the high rate of increases reflects mainly the impact of inflation, the challenge of finding skilled employees in the region, as well as employers looking for ways to attract and retain top talent. • Asia Pacific – In 2014, salaries for employees in Asia Pacific rose 5.2%. Specifically, in China, annual salary increases are still quite high (7.9%); however compared with previous years, the speed of salary growth is declining. Overall, employees are expected to see salary increases inch up to 5.8% in 2015, as major countries in the region see the better economic performance of 2014 continuing into 2015. Employee turnover also showed a slight uptick, and companies have adjusted their compensation budgets accordingly. • Europe – Employees across Europe received salary increases of 3.6% this year and can expect to see similar increases (3.7%) in 2015, though the rate of increase varies by country. For example, Russia and Ukraine salary budget increases are expected to be 8.0% to 8.2% in 2015. In stark contrast, budget increases in Greece are expected to be just 1.9%. Despite the fluctuation, salary budgets in almost every country across Europe are forecasted to rise above inflation in 2015, which may reflect the anticipated strength of a European economic recovery next year and the need for organizations in this region to retain talent. • Latin America – Companies in Latin America took a conservative approach to salary budgeting this year, and that strategy was reflected in workers’ salary increases. Employees in Latin America received average salary increases of 5.5% in 2014 and can expect to see slightly higher salary increases in 2015 (5.9%). Salaries across the region are slightly above inflation rates, with the exception of Argentina and Venezuela, where high inflation remains an issue. Employers also continue to focus on merit increases, as they try to retain and recognize top talent. • Middle East (Gulf Countries) – Employees in the Middle East received 4.9% salary increases in 2014. In this region, organizations’ salary budgets are typically aligned with increases in gross domestic product (GDP). With GDP expected to grow in 2015, Aon Hewitt anticipates workers will see salary increases follow (5.1% in 2015). • North America – Workers in the U.S. and Canada received average salary increases of 2.9% in 2014. In 2015, increases are projected to be 3.0%, which is the largest increase since 2008. In this region, most companies continue to reserve the majority of their compensation budgets towards variable pay programs, or performance-based awards that must be re-earned each year. In 2014, companies allocated 12.7% of their payroll funds toward variable pay. A new pulse survey from Aon Hewitt, the global talent, retirement and health solutions business of Aon plc (NYSE: AON), reveals that a significant number of U.S. employers are taking immediate steps to avoid triggering the excise tax on high cost health plans when it goes into effect in 2018. Aon Hewitt’s soon-to-be-released survey of 317 U.S. employers found that 40 percent expect the excise tax to affect at least one of their current health plans in 2018 and 14 percent expect it to immediately impact the majority of their current health benefit plans. Surprisingly, a quarter of employers said they still have not yet determined the impact of the tax on their health plans, and more than one-third reported that their executive leadership and finance teams have limited or no knowledge of the implications of the tax for their organizations. Aon Hewitt’s survey revealed that an overwhelming majority of employers—88 percent—favor repeal of the excise tax. However, just 12 percent of employers say they have taken public actions, either directly or through a third-party industry organization—to express opposition to the tax. It is a business imperative that even greater strides are taken towards embedding gender diversity in the workplace, according to Confederation of British Industry (CBI) Northern Ireland chair Colin Walsh. While welcoming the significant progress that the business community has made on the subject over the last two decades, Walsh, speaking at the CBI’s annual lunch in Belfast, said that there are many good reasons for companies to believe that increasing gender diversity in their workforces will be a business boost, as well as being the right thing to do. In his remarks, Walsh said: “The CBI approaches the subject of gender diversity in the workplace with a clear belief in the needs to sustain and develop the talent pipeline for women. “Personally, I look forward to the day when from education, to entry into work, through management positions and beyond that we have addressed the remaining issues to make the topic of gender diversity an accepted part of the business culture and that we do not have to talk about it anymore. Turning to the ongoing political challenges in Northern Ireland, the CBI chair said: “In the last twelve months the private sector has created over 16,000 jobs – an encouraging start to our rebalancing of the economy with jobs being created in manufacturing and construction, as well as the services sector. “This positivity must though be reflected and built on and, for this, it is critical that more cohesive and collegiate approach is taken by the Northern Ireland Executive. There is again a threat of reputational risk as well as ongoing uncertainty. Commenting, Liz Earle MBE, the founder of the Liz Earle skincare brand and the keynote speaker at the CBI lunch, said: “The diversity agenda is one that I have long championed in my work and it is one that I am delighted to see that the CBI is so supportive of. My message to business today is that when it comes to nurturing and development within your own team, especially female talent that may also have other facets, such as family life or entrepreneurial experience over a formal qualification, don’t judge a book by its cover. According to the Treasury the UK’s higher allowance, coupled with restrictions in place in other countries, means that the amount of tax paid is not proportionate to their earnings in the country. Presently the UK Personal Allowance is £10,000 and is planned to increase in April 2015. That will mean an allowance, the level of earnings before tax is deducted, of £10,500. It means that the Treasury is ultimately missing out on an extra £400m each tax year. The proposals outline how the majority of the EU member countries restrict access to such allowances. The same is true in the US, Canada and Australia. The proposal document goes on to say that few countries have an allowance as generous as the one in the UK. If introduced, it is thought that around 175,000 non-resident landlords here in the UK could be affected, as well as about 250,000 seasonal workers. 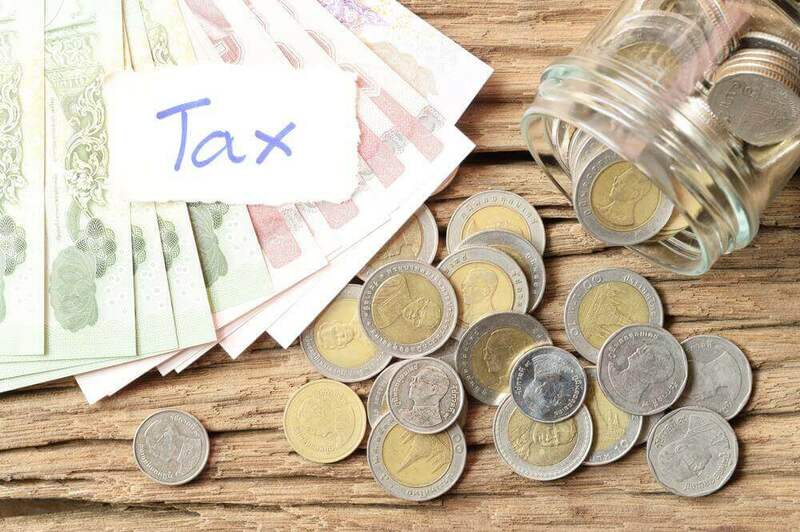 However, the Treasury says that the income generated here could still attract tax relief in the individual’s home country to help offset any losses. New research reveals the scale and economic impact of unfilled vacancies on the UK economy – representing a staggering annual cost of over £18bn. The economic potential offered by these positions is indicative of continuing improvements in the UK labour market, with falling unemployment and robust job creation. Despite this renewed confidence, the research suggests that many businesses are finding it a challenge to locate and secure the right employees. Inability to find and recruit the right hire for a role has an impact on both the business itself and the wider economy in two major ways. Failing to effectively resource a business slows both production and profits, while unearned wages reduce consumer spending power and contribution to economic growth. 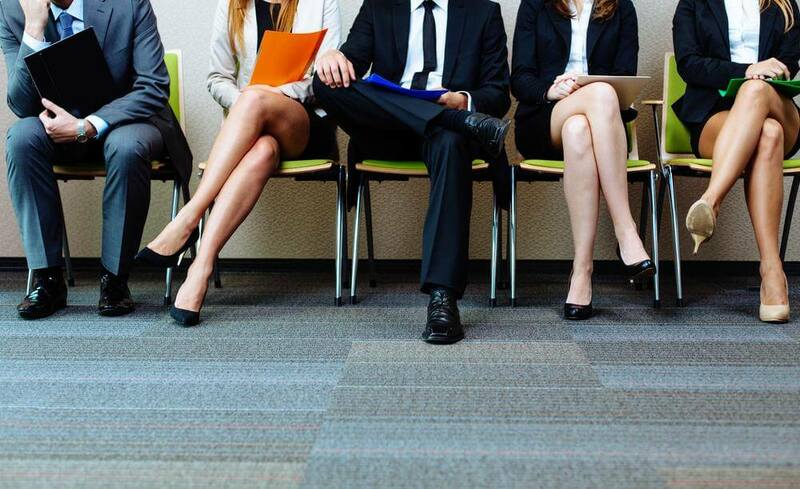 Findings from the report, released by Indeed, the world’s leading job site and global hiring resource, illustrate the growing importance of building a strategic recruitment function to hire quickly and efficiently, and find the right fit for each role. 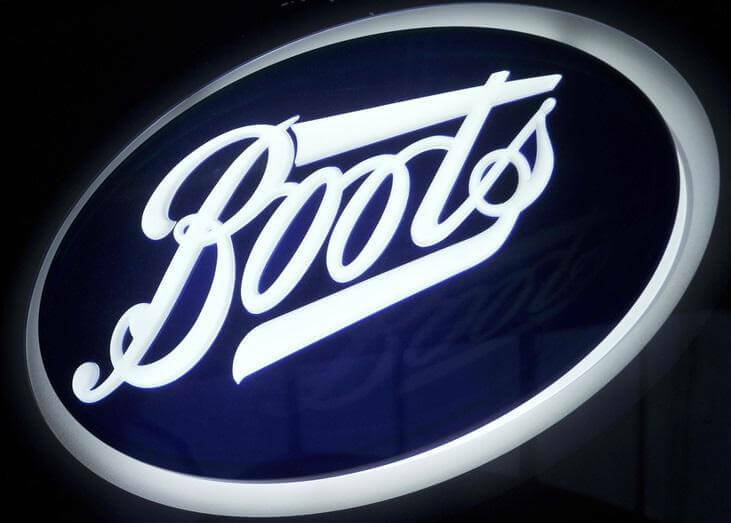 It had been widely expected in the financial services sector that the pharmaceutical big hitter would make the move following its full acquisition of Alliance Boots. According to sources, though the move from the US would allow Walgreen’s to pay lower tax rates, proposals being considered in Washington suggest it would be problematic. This week saw the US announce plans to prevent foreign tax centres from being created. The firm undertook what has been called ‘extensive analysis’. CEO and president of Walgreen’s, Greg Wasson, said that an independent committee subsequently advised that there was no way of reaching a ‘tax inversion’ structure which would satisfy the Internal Revenue Service. However, there is a body of shareholders urging the firm to shift its domicile tax base, with Goldman Sachs among them. Walgreen’s decision has also ramped up the pressure on other firms in the US considering a move. Another pharmaceutical firm, Abbvie, is lining up a takeover for Shire, with plans been drawn up to relocate its headquarters to the UK. Earlier this year, the TaxPayers’ Alliance showed that some £120bn of taxpayers’ money was wasted last year, a figure almost equal to the deficit. New calculations by the TaxPayers’ Alliance demonstrate that the public debt burden tops £1.3tn, and is rising by £3,950 a second – the equivalent of putting a family holiday to Disneyland Florida on the country’s credit card. Cutting out waste will be a necessary part of bringing that down. 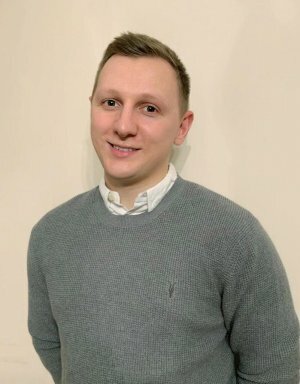 TaxPayers’ Alliance chief executive Jonathan Isaby said: “Far too much taxpayers’ money is wasted, keeping taxes high and taking precious resources away from essential services. It’s time for a war on waste right across the public sector. “It would be nothing short of immoral to saddle the next generation with our trillion-pound debt mountain. We need to strip out wasteful and unnecessary spending and start living within our means again. 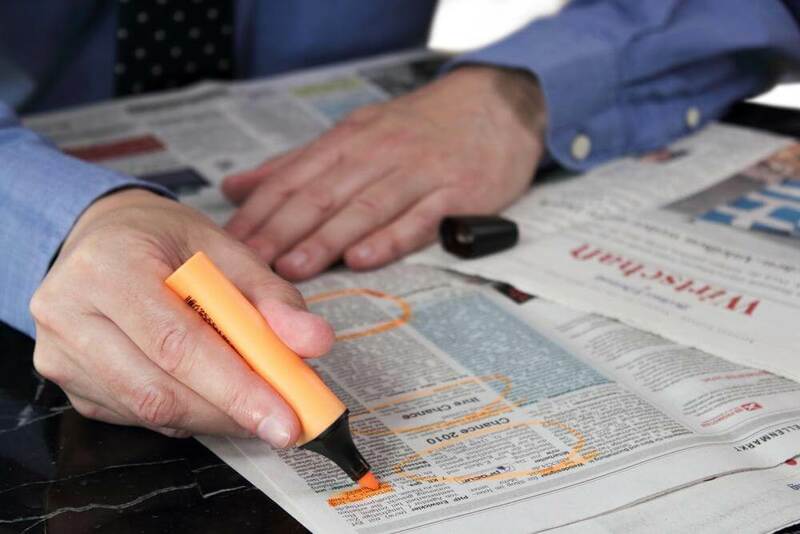 The unemployment rate across the Eurozone remained unchanged in May from April’s figure of 11.6%, according to data released by Eurostat. This follows data showing that annual consumer price inflation across the currency bloc stood at 0.5% for the second consecutive month. The preliminary “flash” estimate of inflation released yesterday morning suggested that the largest upward pressure on prices in June arose from inflation in services (including housing, transport, communication and financial services). Offsetting this were falling food, alcohol and tobacco prices that declined by 0.2% in the year to June. June was the ninth consecutive month that inflation has been below 1.0% – referred to by Mario Draghi as “the danger zone”. While the European Central Bank (ECB) doesn’t expect deflation, it is worried about low inflation, which spurred it into cutting the Bank’s refinancing rate by ten basis points from 0.25% to 0.15% and lowering the deposit rate into negative territory. However, this rate cut might be too little too late as roughly 18.5 million people were unemployed in May within the currency bloc. The prevalence of joblessness across the Eurozone is diverse, with countries such as Austria and Denmark recording a 4.7% and 5.1% unemployment rate for May, respectively, compared to Spain which suffered with 25.1%. More than one in every two Spaniards younger than 25 are unemployed. Given that the ECB markedly changed monetary policy last month it is unlikely that any further revisions will be made when the Governing Council of the ECB release their rates decision on Thursday this week. 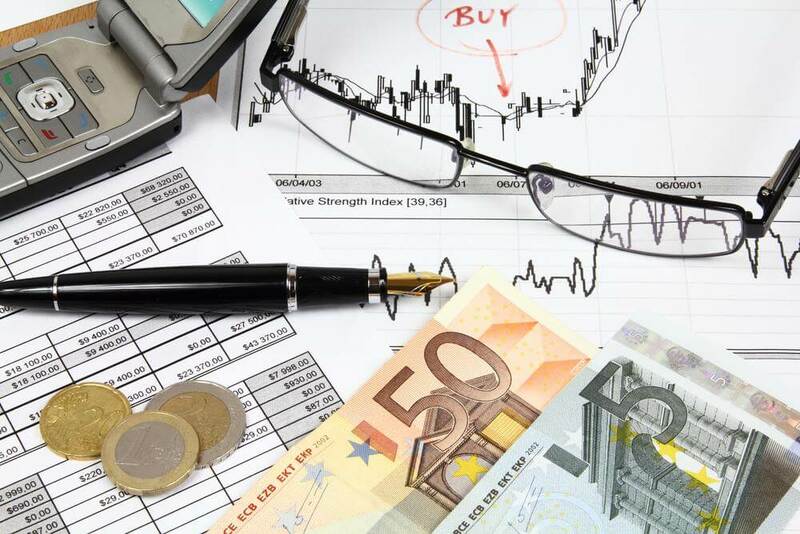 However, further worries over the momentum of the economic recovery are represented by the latest Purchasing Managers’ Index (PMI) for the Eurozone, which fell to 51.8 in June. This is the lowest level since November but still above 50, the figure that denotes growth, slowing momentum could spur the ECB into action once again. Cebr believes that further interest rate cuts would have a minimal impact on the Eurozone’s economic outlook. More successful policies should come from the countries within the single currency union, which need to address the underlying problem of a lack of competitiveness. With the World Cup imminent, many work places will be hosting football-themed parties for their staff this summer. 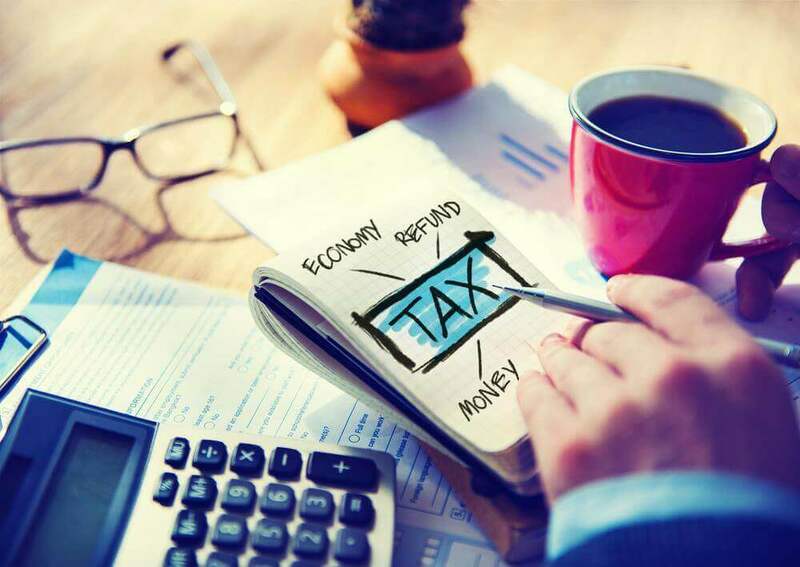 And the Institute of Chartered Accountants in England and Wales (ICAEW) is reminding employers that these parties can potentially be tax-free this year. 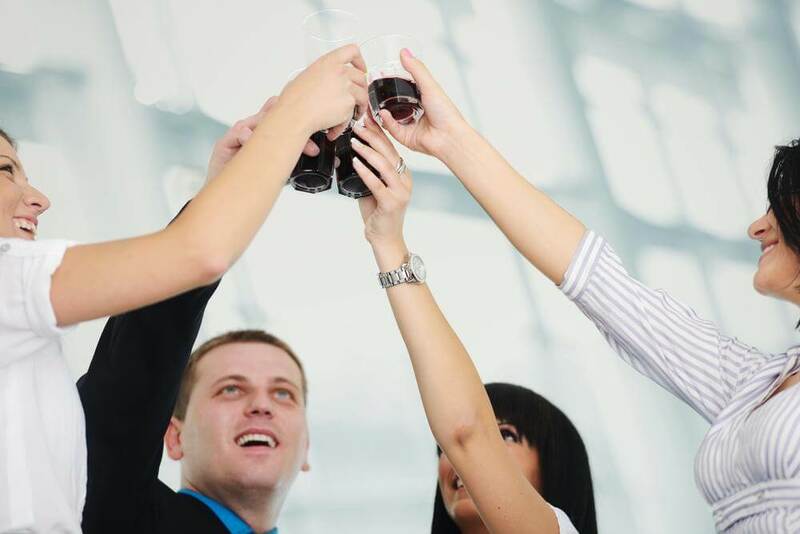 Employers can spend up to £150 per member of staff each year without any tax charge, which is guaranteed to kick off any event in style. This total not only covers food and drink, but also accommodation and transport home if the employer pays for these. 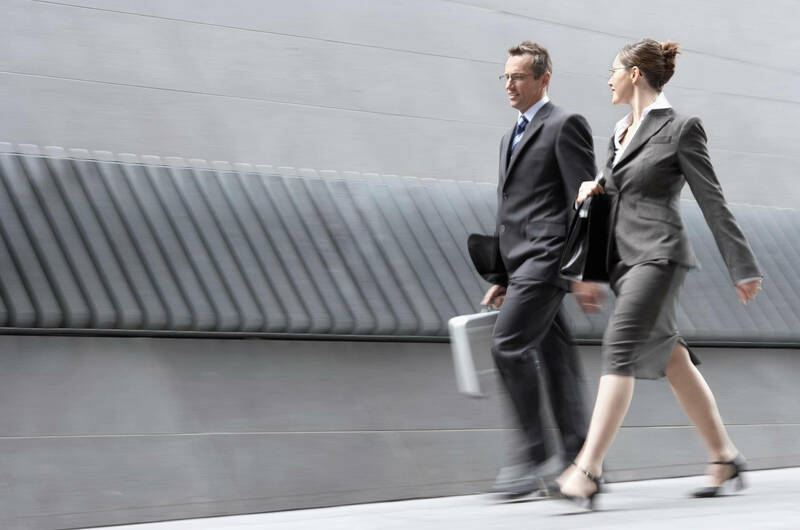 Employees can even bring along their spouse or partner and as long as the cost per head is under the limit, there isn’t any income tax or national insurance to pay. On top of this, the employer will also get tax relief on the total costs, even if the party just lasts for 90 minutes. The rules apply to any annual party or similar function, which must be open to staff generally or to workers at a particular location. The tax-free limit applies for a tax year, so if the employer puts on a summer party and a Christmas dinner, altogether costing less than £150 a head, both will be tax-free for employees – a match winner. But one penny over this limit and the full amount spent on the party will become liable to income tax and National Insurance for both staff and employer alike. 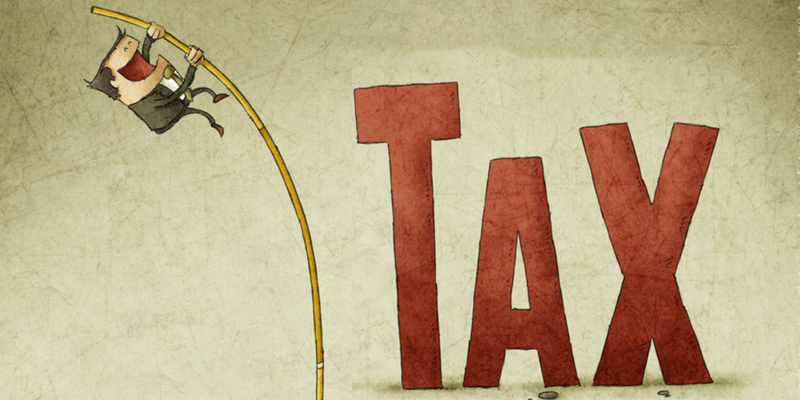 It is taxed as a benefit – which could prove an own goal. When the book The War for Talent was published in 2001, Apple had just released its first iPod, the world population stood at 6.2 billion people and the Dow Jones Industrial Average was below 10,000 points. Today, more than 350 million iPods have been sold, global population figures are estimated at more than 7 billion and the Dow Jones recently hit a record high of 16,717. Yet despite these changes, a new survey from KPMG shows that businesses have barely moved when it comes to fighting the war for talent. 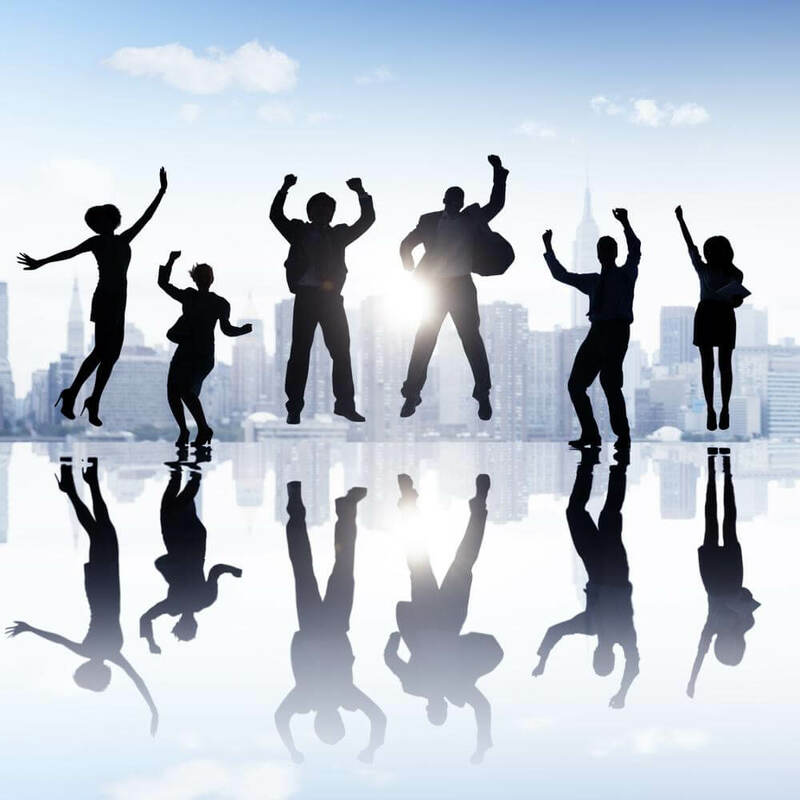 “In 2001, the focus was on attracting and retaining ‘high potential’ and ‘high performing’ employees. It’s an approach that has become deeply engrained for many companies,” said Robert Bolton, co-leader of KPMG’s Global HR Centre of Excellence. • the changing career expectations of younger skilled workers. KPMG International gathered input from 335 People & Change consultants from 47 countries as part of the survey, which took place between March and April 2014. The level of pay awards across the whole economy has fallen in April 2014, according to the latest findings from pay analysts XpertHR. In the three months to the end of April 2014, the median basic pay award was worth 2%. This is below the April 2014 RPI inflation figure of 2.5%, but above the CPI rate of 1.8%. However, behind the headline figure there continues to be a clear difference in the fortunes of employees in the public and private sectors. Public-sector employees continue to be caught by the government’s 1% pay policy. 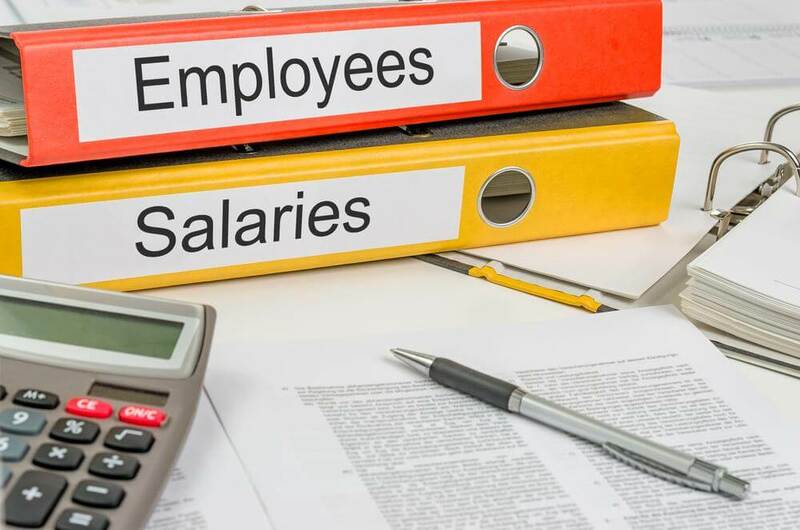 Within the latest batch of data are pay awards for around 1.7 million workers covered by the pay review bodies including those working in the NHS, the Prison Service and the Armed Forces. Meanwhile, in the private sector the median pay award is worth 2.4%, representing a slight fall on the 2.5% figure recorded in the three months to the end of March 2014. Within the private sector, manufacturing and production firms are setting wage awards at a median 2.5%, compared with 2% awards in the services sector. The most common pay award in the private sector is a 2% increase (representing just over a quarter of all pay deals recorded), followed by an increase of 2.5% (just over one-fifth of pay deals recorded at this level). -The whole economy median pay award stands at 2%. -The middle half of deals fall between 1.5% and 2.5%. -Pay awards in the private sector are worth 2.4% at the median. Much of the public sector continues to be covered by the average 1% pay award stipulated by the UK government. -Manufacturing-and-production employers record a higher median pay award (at 2.5%) than the services sector (2%).